San Francisco: What Apple Inc. began with its iPhone, Google is hoping to accelerate with an ambitious plan to make the software at the heart of cell phones. The personal computer (PC) is climbing off its desktop perch and hopping into the pockets of millions of people. The resulting merger of computing and communications is likely to transform the telecommunications industry as thoroughly as the PC changed the computing world in the early 1980s. 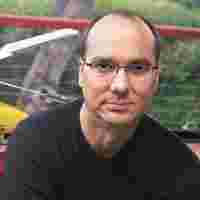 Future wired: Google’s director of mobile platforms Andy Rubin, who led the effort to develop the mobile software, says it has been designed so programmers can easily build applications that connect to Web services. Google Inc., which wants to be as central to the coming wireless Web as it is on today’s PC-dominated Internet, announced on Monday that it was leading a broad industry effort to develop new software technologies aimed at turning cell phones into powerful mobile computers. If successful, the effort will usher in new mobile devices that, like the iPhone, will make it easier to use the Internet on the go. The phones, which would run on software that Google would give away to phone makers, could be cheaper and easier to customize. And by giving outside software developers full access to a Google-powered phone’s functions, the members of the alliance hope to spark a proliferation of new, PC-style programs and services, like social networking and video sharing. “We’re human beings and we communicate, and that’s what the Internet social network phenomenon is all about," said Robert Pepper, a former policy chief at the Federal Communications Commission. “The Internet is going mobile, and it’s not just top down, it’s one-to-one and many-to-many all at the same time, and that’s what the Google guys get." With the move, Google is trying to alter the dynamics of yet another industry. It is already using its deep pockets and innovative technology to shake up the worlds of television, book publishing, computer software and advertising. But while Google’s much-anticipated plan has sparked talk of a Google Phone, the company said that for now it had no plans to build phones. Instead, it has signed up a long list of powerful partners to develop and market the phones, including handset makers such as Motorola and Samsung, carriers such as T-Mobile, Sprint and China Mobile, and semiconductor companies such as Qualcomm and Intel. The group, called the Open Handset Alliance, expects to start selling the Google-powered phones in the second half of next year. Industry analysts were quick to point out that impressive telecommunications and computing alliances have been proposed many times in recent decades and have often had little impact. And the alliance’s software, which is not yet complete, will face competition from established rivals, including Microsoft, Nokia, Palm and Research in Motion. “I’m not convinced," said Chetan Sharma, a technology consultant who tracks the wireless data industry. “It’s an pretty impressive list of people in the group, but it takes a long time to get things into the ecosystem." However, the strength of Google’s brand with consumers, as well as the open-source strategy that will make the company’s phone software freely available and customizable, make it difficult to discount Google’s potential impact. For Google, the initiative is an ambitious push to take its overwhelming dominance of advertising on PC screens on to wireless devices. The company has been frustrated at the limited availability of its services on mobile phones, whose features and software are largely controlled by carriers and handset makers. By courting programmers, Google is hoping to give the phones new capabilities that users will demand and carriers will find difficult to resist. The idea is that just as spreadsheets, word processors, video games and a cascade of useful software tools three decades ago turned the personal computer into an everyday appliance, the emergence of new mobile applications could spur wider adoption of so-called smart phones. More use of the Web, whether on PCs or on phones, benefits Google because its advertising systems have such broad reach. Software developers “will build applications that do amazing things on the Internet and on mobile phones as well," Eric E. Schmidt, Google’s chief executive, said during a press conference. Google’s stock reached a record high of $730.23 (Rs28,698.04) on Monday before closing up 2% at $725.65. The 34-member Open Handset Alliance also includes mobile phone operators such as NTT DoCoMo and KDDI of Japan and Telecom Italia of Italy; the phone makers HTC and LG; and chip makers such as Broadcom and Texas Instruments. EBay Inc., which owns the Internet calling service Skype, and Nuance Communications, which makes voice recognition software, are also members. The list of powerful partners illustrates the substantial inroads that Google has made in the highly competitive industry, as well the challenges it still faces. For example, the two largest cellular carriers in the US, AT&T and Verizon Wireless, which together account for 52% of the market, are not part of the alliance. While a Verizon spokesman said the company had not ruled out the possibility of joining, an AT&T spokesman, Mark Siegel, said AT&T had no plans to participate. “Google’s announcement is about what is going to happen in the future, and our focus is about delivering the goods today," Siegel said. Apple executives declined to comment on the Google announcement. However, an Apple spokesman noted that its chairman, Steven P. Jobs, said recently that the company planned to allow programmers to write applications for the iPhone from February. Alliance members said they had high hopes for the project. “Just like the iPhone energized the industry, this is a different way to energize the industry," said Sanjay Jha, chief operating officer of Qualcomm Inc., which makes chips used in wireless phones. Jha said the Google technology would bring better Internet capabilities to moderately priced phones. He also said innovation could accelerate, as developers would be able to enhance the software, which is based on the Linux operating system, as they saw fit. The phone plan mirrors Google’s efforts to give away software and services for PCs and profit through customized advertising. As such, it is a potential competitive threat to Microsoft and other mobile software designers. Google’s Schmidt has said in the past that advertising on mobile phones was likely to eventually bring the cost of making calls to zero. But alliance members said on Monday that they did not expect the industry’s business model to change quickly. John O’Rourke, general manager of Microsoft’s Windows Mobile business, said he was sceptical about the ease with which Google will be able to become a major force in the smart phone market. He pointed out that it had taken Microsoft more than half a decade to get to its current level, doing business with 160 mobile operators in 55 countries. “They may be delivering one component that is free," O’Rourke said. “You have to ask the question, what additional costs come with commercializing that? I can tell you that there are a bunch of phones based on Linux today, and I don’t think anyone would tell you it’s free." Handset makers are expected to sell about 12 million Windows Mobile phones this year, accounting for about 10% of the global smart phone market, according to IDC. Apple, which began selling its iPhone last summer, will account for 1.8% of the market. Symbian, which is backed by the phone maker Nokia, dominates the market with a 65% share, IDC says. Google said software makes up about 10% of the cost of current phones, although that percentage is rising as phone hardware becomes cheaper. A brief demonstration of the Google software suggests that phones made using the technology will have features and design similar to the iPhone. Andy Rubin, Google’s director of mobile platforms who led the effort to develop the software, recently demonstrated a hand-held touch-screen device that gave an immersive view of Google Earth, the company’s three-dimensional mapping program. Rubin, a veteran Silicon Valley designer, said the software is based on Linux and on Sun Microsystems’ Java language. It is designed so programmers can easily build applications that connect to Web services. As an example, Rubin said the StreetView feature of Google Maps could easily be coupled—mashed up, in technology speak—with another service showing the current location of friends. Rubin also said that a program such as Gmail could attach a photo to an email message, regardless of whether the photo was stored in the phone’s memory or on a website. Next Monday, the alliance plans to make tools available to outside programmers in the form of a software developers’ kit. The phone software is named Android, after a company that Rubin founded and that Google acquired in 2005. Part of Google’s strategy appears to be that the Android software will lead to new kinds of devices that have cellphone and wireless Internet functions, but have different shapes and sizes than today’s cellphones and PCs. Intel, an alliance member, has been promoting a new category of device it refers to as Mid that is halfway between a cell phone and a laptop in size. Such devices might offer cell-phone features through a Bluetooth wireless headset and have a large touch screen for easy Web surfing. Schmidt hinted broadly at this when he answered a question on Monday about whether or not he now had a conflict of interest as a board member of Apple, another recent entrant to the cellphone business. "It’s important to realize there will be many mobile experiences," he said.